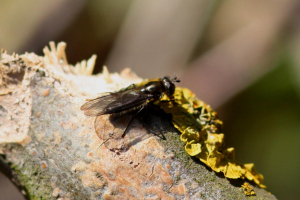 Observation - Melangyna quadrimaculata - UK and Ireland. Description: Not a great photo, but a species worth looking out for at the moment, around Sallows. My first hoverfly of 2013...finally! Not a great photo, but a species worth looking out for at the moment, around Sallows. My first hoverfly of 2013...finally!